To find the Oil Boiler Spare part / parts that you are looking for, simply choose from the brands below. 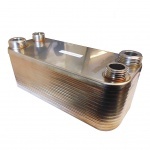 We stock Boiler spares from top brands such as Grant, Firebird and more. Don't forget that you can order your Boiler Spares securely online, or over the phone. If you do not find the part you are looking for on the site then please give us a call and we shall do our best to source it for you.